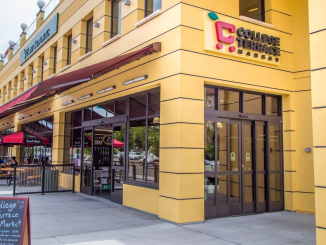 Just opened in Palo Alto, College Terrace Market is a complete neighborhood grocery store where you can enjoy housemade gourmet foods and local and artisanal products alongside the everyday name-brand products you love and depend upon. It’s local and proud of it, with aisles named after nearby streets including El Camino Real, College and Stanford. From the managers to the butcher to the bakery, each department is staffed by industry veterans who are passionate about their bailiwick. The aptly named Butch presides over the meat department, where the market’s dedication to exceptional quality gets one of its best showcases. Mary’s Free Range Chicken and Sausages made in-house are neatly lined up next to some of the most beautifully marinated kabobs you’ll ever see. But what really sets the section apart is the beef from Kansas’ Creekstone Farms, which raises all its cattle on a GMO-free 100% vegetarian diet, doesn’t ever use hormones or antibiotics and is an industry leader in its certified humane handling practices. All that care makes for excellent (yet still affordable) beef. In his 45 years in the industry, Butch says he hasn’t seen another producer that compares in quality. “It’s top-notch. Everything’s done right,” he said. At the heart of the store is Isabella’s Kitchen, the deli and bakery where the real Isabella Cosentino Acosta turns her carefully developed recipes into the store’s selection of housemade pot pies, lasagnes, salads and sandwiches in the deli and the delicious cakes, cookies, tarts and other goods in the bakery. Isabella grew up in the business, working in her family’s famed San Jose markets, Cosentino’s. She has over three decades’ experience running bakeries, and it shows. If you’re looking for something beautiful and delicious to bring to a gathering, check out the seasonal kuchen fruit tarts. The store just opened in June, and Isabella’s sandwiches are already giving the market a thriving lunchtime business. If you’re looking to put together a meal for yourself, you can also visit the salad and soup bars. A sushi counter offers selections made fresh in the store, and there’s also an ice cream counter serving up fresh Straus Family Creamery ice cream. It’s delicious, local and organic. Bob Van Hoy heads the wine department, and he’s put together an eclectic array of wines from all over the world. You’ll still find California stalwarts like Rombauer, Jordan and Stag’s Leap, but there are also plenty of interesting new vintages to meet. Want a pairing? Check out the cheese counter, which offers selections from local favorites like Cowgirl Creamery and Humboldt County’s Cypress Grove Farm alongside Dutch, English, Greek and French cheeses. 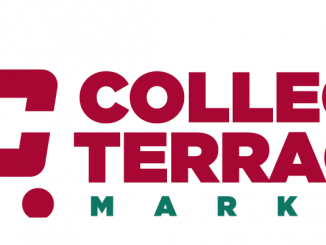 With convenient underground parking, wide aisles and beautiful products, College Terrace Market offers an easy, pleasant shopping experience. So whether you’re going for groceries or just for lunch, check it out.